The ICW provides services to children and families in accordance with the FCP Children’s Code, the FCP Foster Home Ordinance, and the Bureau of Indian Affairs. ICW, on behalf of the Tribe, strives to protect and ensure the well-being of all FCP-enrolled and eligible-to-be-enrolled children. The program works to provide culturally-appropriate services that are consistent with the FCP Children’s Code and ICWA, specifically to limit separation of Potawatomi children from their families and Tribe. ICW provides intake and makes referrals of abuse and neglect, as well as provides case management to children whom Tribal Court has deemed Children in Need of Care. ICW provides active efforts to keep families together or reunite children with their parents. This includes coordinating with service providers, arranging visitation, seeking out resources, etc. ICW makes placement recommendations following the placement preferences defined by the Tribe. ICW also licenses tribal foster homes and family placements, and provides Kinship assistance to qualifying placements. Children who are involved in two or more systems of care (example: mental health services and AODA) may qualify for CST service coordination. These teams bring together providers and families to ensure needs are met. ICW does NOT participate in or mediate custody issues between parents unless substantiated child welfare concerns also exist. 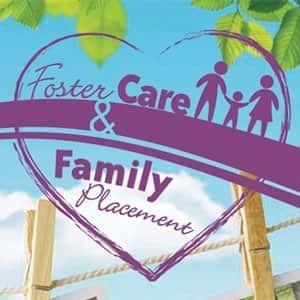 The FCP Indian Child Welfare (ICW) Department is actively recruiting foster and family placement homes for FCP children placed outside their home. Please stop in at the Family Services Building and pick up an application packet if you are interested in providing a home for a child in need of placement. FCP ICW follows ICWA Placement preferences which reflect Potawatomi culture when providing assistance in the placement of FCP children. All ICW personnel are required to protect personal information concerning child victims and witnesses received by them. The ICW department identifies children and youth who are in need of protection because of neglect, abuse, abandonment, lack of sufficient parental concern or support. Everyone can apply to become a foster parent. Licensed families provide homes for tribal children in need. You don’t have to be a tribal member to take in tribal children. The two license options are Foster Care License or Family Placement License. Stop in at the FCP Indian Child Welfare Department, located ain the Family Services Building (5415 Everybody's Rd., Crandon, WI 54520) or call (715) 478-4812 for more information. We look forward to working with you to help make a difference in the community.